this residential building - with the most un-imaginative name - has been in the neighbourhood gossip, for more reason than one over the past few months. for some reason, i'd have the bamboo scaffolding permanently put up. it adds some texture to the facade. Nice work here!!! 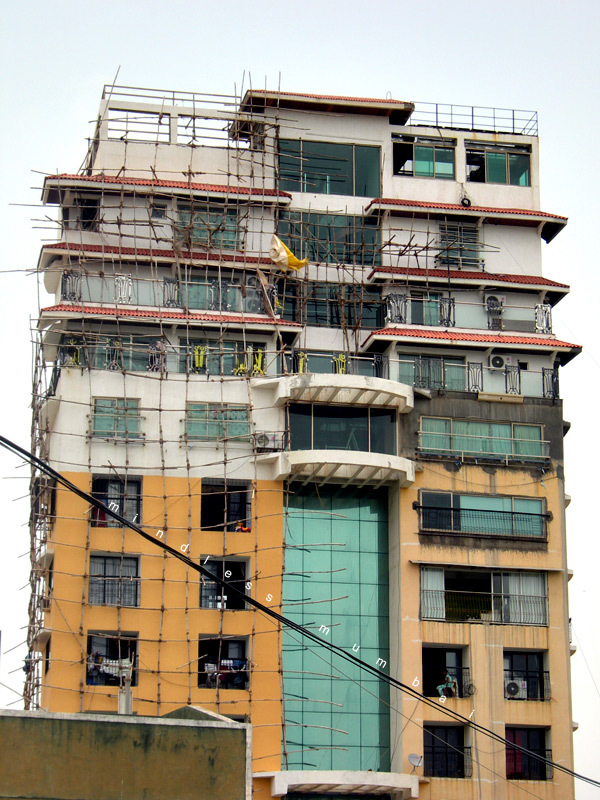 That looks really dangerous, are they fixing the building??? is just deco?...amazing catch!